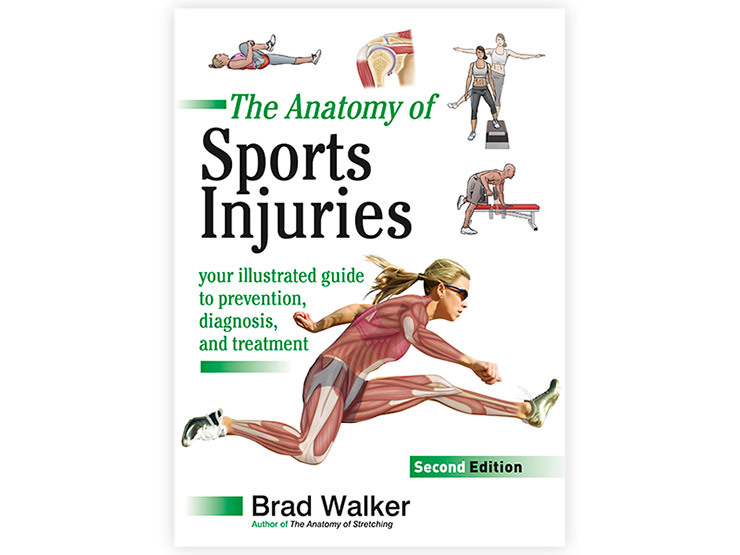 Originally released in 2007, The Anatomy of Sports Injuries has remained one of the most popular sports injuries texts; so much so that a second edition was released in November 2012 featuring 25 per cent more anatomy text and drawings and new colour illustrations of the rehabilitation exercises. Contents: Explanation of Sports Injury, Sports Injury Prevention, Sports Injury Treatment and Rehabilitation, Sports Injuries of the Skin, Sports Injuries of the Head and Neck, Sports Injuries of the Hands and Fingers, Sports Injuries of the Wrists and Forearm, Sports Injuries of the Elbow, Sports Injuries of the Shoulder and Upper Arm, Sports Injuries of the Back and Spine, Sports Injuries of the Chest and Abdomen, Sports Injuries of the Hips, Pelvis and Groin, Sports Injuries of the Hamstrings and Quadriceps, Sports Injuries of the Knee, Sports Injuries of the Lower Leg, Sports Injuries of the Ankle, Sports Injuries of the Foot, Resources, Index. Brad Walker, Assoc. Dip. Health Science (Sport and Exercise) is a prominent Australian sports trainer with more than 25 years’ experience in the health and fitness industry. Brad graduated from the University of New England, and has postgraduate accreditations in athletics, swimming, and triathlon coaching. A very straight forward and concise book..already a firm favourite .